If you follow me you might know I was in Washington DC for Assam Convention. As a foodie, my travel won't be complete without exploring good the food scene. My absolute turn on in life is good food and books. When I entered Fruitive it clearly hooked me in no time. The chic urban cafe has so much to offer. 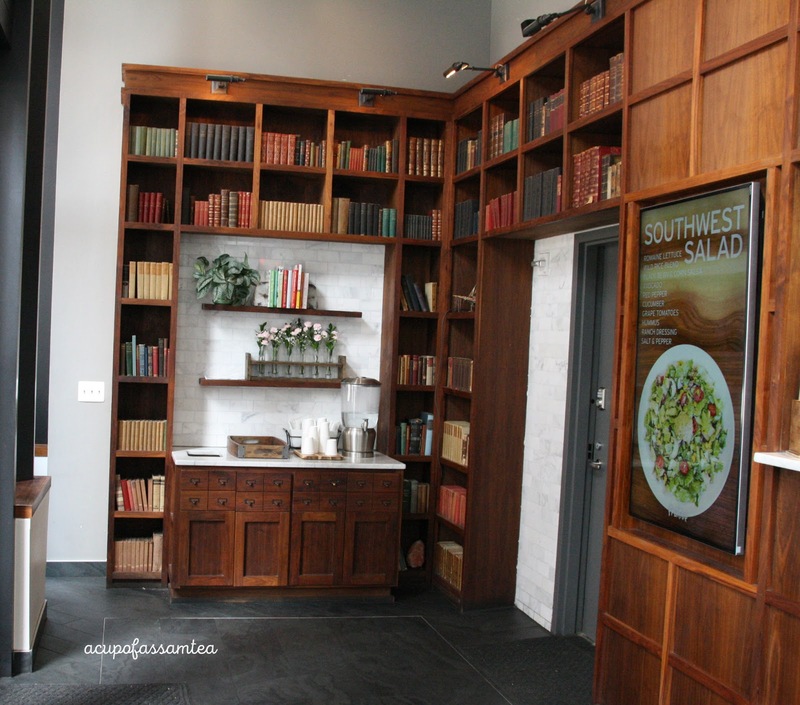 A beautiful entrance-self full of books definitely got my heart. When we talk about good food, it should be easy, sustainable, transparent and straight from nature. 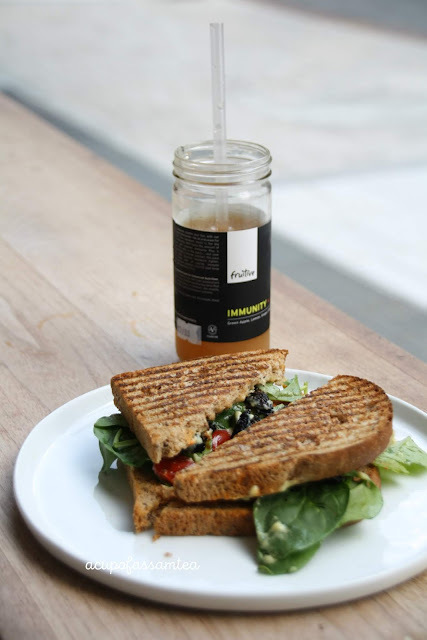 Fruitive is the first certified organic fast food restaurant in North America and the menu embody all natural plant-based ingredients such as fruits, veggies, whole grains, legumes, nuts, seeds, herbs, and spices. A few barstools by the window and also outside sitting arrangement, Fruitive all vegan menu consists smoothies bowls and sandwiches wraps. I started my day lunch in Fruitive with a pressed juice called Immunity - green apple, lemon, ginger, and cayenne pepper. Even though Indian origin is widely known for eating spicy food, I never had a spicy cold drink. If you are ready to give a spicy kick on your taste bud then immunity is your drink with the garden freshness of green apple and lemon. 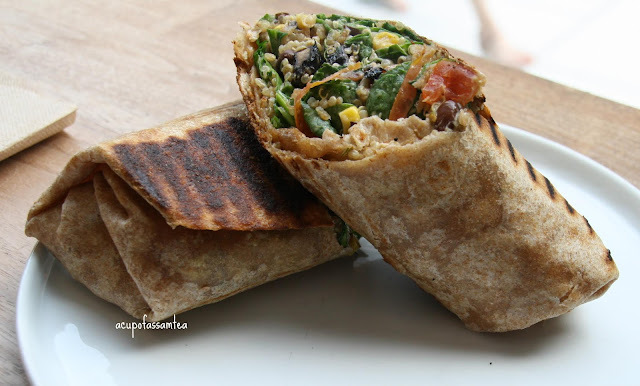 Then for the main food, I opted for Southwest wrap which consists of whole wheat tortilla, romaine lettuce, corn salsa, wild rice, grape tomatoes, cucumber, onions, avocado, spicy hummus and cherry on top sea salt and black pepper. I love this innovative take on healthy food and is quite filling and must say, so yummy. 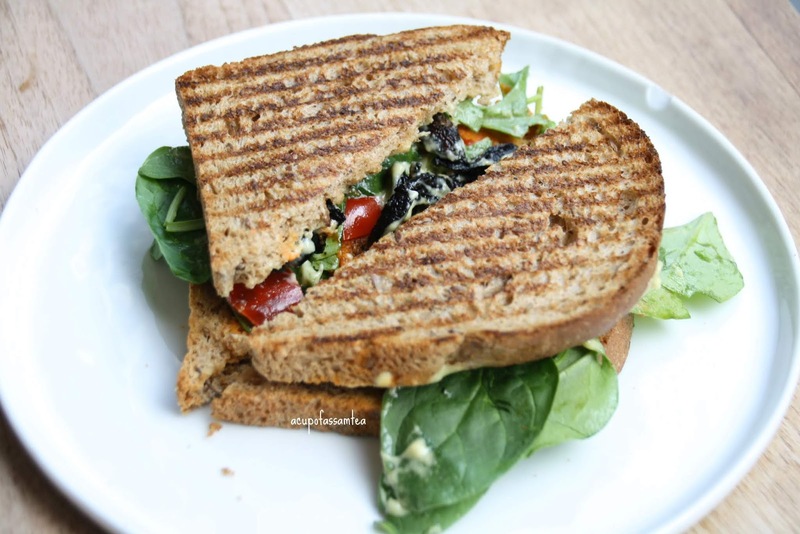 My 9 and half year had Roasted red pepper panini in flax and spelt bread, roasted red pepper, spinach, cucumber, sriracha aioli, cashew cream, cayenne pepper and black pepper. The power pack and the nutrient dense sandwich was super succulent. Then hubs went for Mediterranean wrap which was on a wholewheat tortilla, spinach, Romanian lettuce, cucumber, green pepper, kalamata olives, garbanzo beans, original hummus and basil vinegarette. 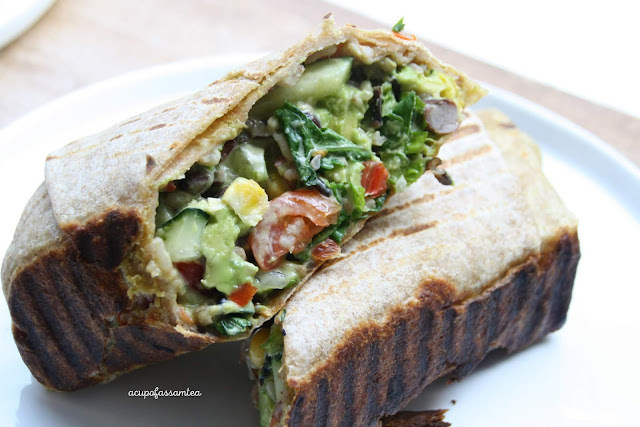 The innovative and healthy sandwich oozed deliciousness in every bite. 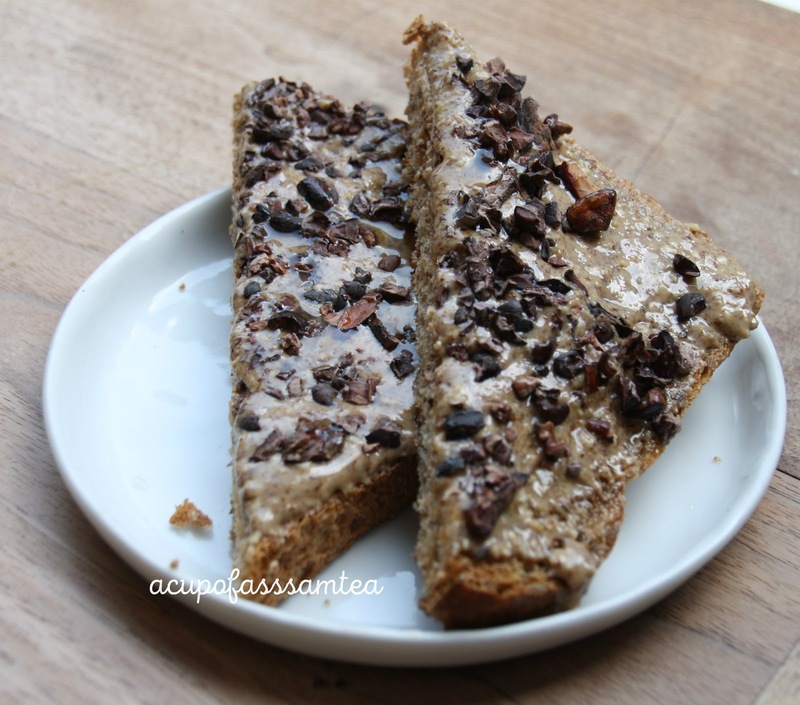 And then my little one had Almond banana toast flex and spelt bread, almond butter, banana, maple syrup and cocoa nibs. My five year old ditched the banana that day. The one good part of Fruitive is you can add or substracts ingredients. Some people add more power pack ingredients and some like my five-year-old ditched healthy option like banana even when you are in a healthy restaurant. By the way, the smooth peanut butter and crunchy cocoa nibs made the toast decadent and delicious. Fruitive was a fruitful visit with all the good food which made you feel good, not guilty.